Not sure if these things work themselves into my writing, but I would guess I’m influenced by what I read and watch. 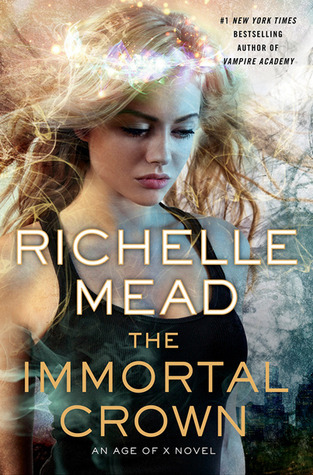 First off, I just finished the Immortal Crown, book two in the Age of X series by Richelle Mead. I have to say: I love, love, love how she does characters. This book had it’s dips–I do think the plot slowed down a lot midway through, but the end left me reeling in a sad/sick way and the twist was rough. Needless to say, it made me immediately want the next book…which isn’t out until next year. And me and my husband delved into the world of Warehouse 13 recently. LOVE Claudia, I totally understand and love Myka’s neurotic tendencies, Pete’s adorable, and Artie is the sweetest. Anyone who’s seen the show can commiserate to the level of feels I have every time I listen to it. 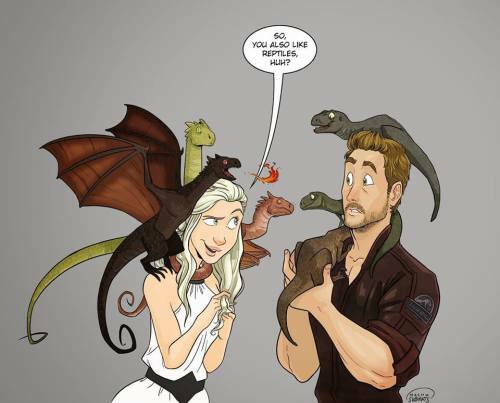 And in movies, most recently I saw JURASSIC WORLD. Which was thrillingly awesome. Best part about it–I hadn’t expected it to be. I went in blind, having only seen Jurassic Park, and years ago at that. Chris Pratt was astoundingly good, as was the way they shot the movie and wrote the characters. I’ll admit, I’m the first to get freaked by suspenseful parts of movies, and this one didn’t disappoint. I was clutching my seat through most of the film.